Is Denzel Washington Batman Vs Superman's Green Lantern? Once again the rumors are upon us as Zack Snyder's 2015 Batman vs Superman project gathers anticipation, expectation, and a roster of comic book characters big enough to start a Justice League movie already! Like a kid in a freakin' candy store, DC fans have been juggling rumours that aside from Superman, Bat-Fleck and Wonder Woman, we should also expect Lex Luthor, The Flash, Nightwing and even Doomsday. Since catching the news that Gal Gadot, Jason Momoa, Joaquin Phoenix and Bryan Cranston have each been in talks with Warner Brothers, it's now become apparent that Denzel Washington is being considered for the role of Green Lantern. In Brightest Day, in Blackest Night, I walk by Faith, not by Sight! A few weeks ago, it was rumoured that Washington was actually being considered for the role of Superman's nemesis Lex Luthor. It wouldn't have surprised anybody, really; Lois Lane is now ginger, Perry White is now black, and Jimmy Olson is now a girl. What's wrong with that idea, so long as the story is being delivered by exceptional actors? Washington is one of the most versatile and beloved actors alive. 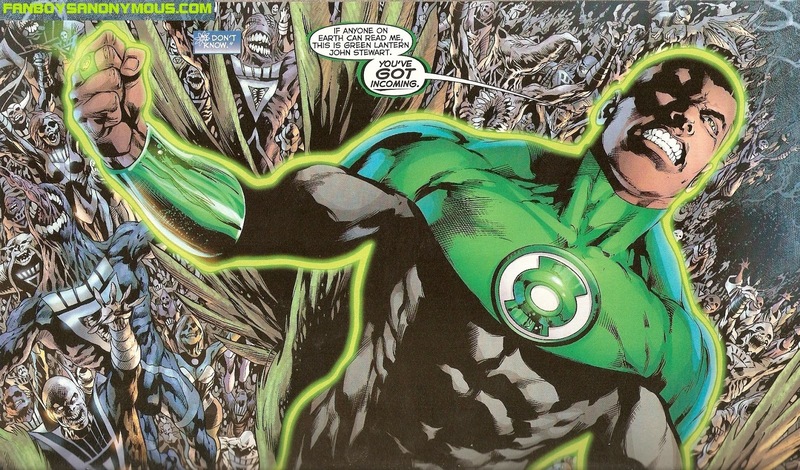 So when that news spun around and placed the veteran actor in the shoes of Green Lantern John Stewart, succeeding Hal Jordan and Guy Gardiner, it clicked. Not only would he be a perfect John Stewart, he would be a perfect balance between action and acting, which is really what this superpowered slugfest will need. So, if you're with me, you'll be devastated if it turns out that this rumour is totally fictional. If it is true, however, have some character facts courtesy of Fanboys Anonymous. John Stewart, Green Lantern Corpsman of Sector 2814 (containing Earth, the gateway to the Multiverse), grew up under the influence of a drunken and abusive father who one day got up and left his mother to fend for John and his brother and sister. He was motivated to become a focused and disciplined adult after a stupid teenage stunt—joyriding—killed his sister. Joining the marines helped him gain his focus and discipline and he excelled as a sniper, even though he'd always wanted to become an architect. Leaving the marines, he did follow his dream, but the experience was brief as he was fired as a result of racism. After that, John devoted himself to social and political activism, challenging diversity not only on Earth but (once he would become a Green Lantern) throughout the Universe, making him one of the strongest-minded Lanterns around. When Guy Gardner was injured, the Guardians had chosen Stewart to replace him temporarily. Contrary to the doubts Hal Jordan had about him, he went on to become one of the greatest Green Lanterns, even proving in some ways more formidable than Jordan—like in using his knowledge of architecture, engineering and military weaponry to create more complex constructs—and went on to train other recruits. John Stewart was created in 1971 and was one of the very first black superheroes created by DC! Does that not sound like a superhero Denzel Washington could immortalize in film history? Sound off Fanboys and Fangirls! Comment below and thanks for reading.